My daughter often comes up with the ideas for our projects together. 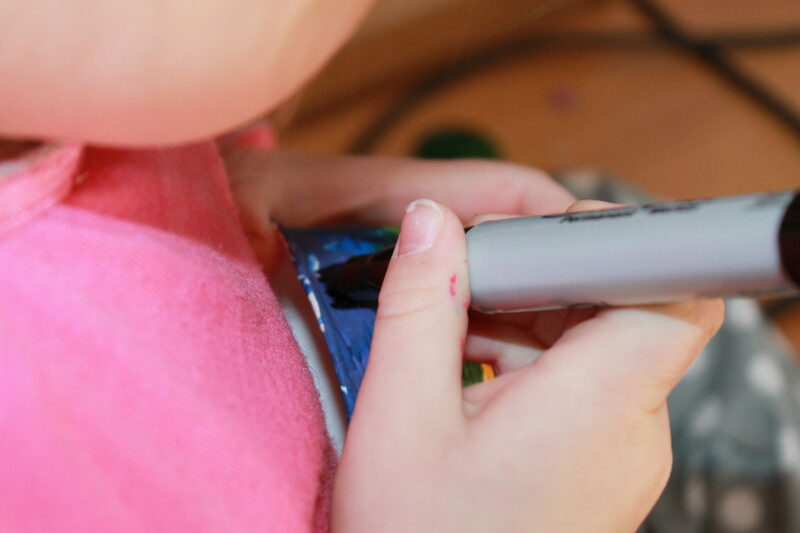 Sometimes her inspiration comes from seeing something in a book or something from school or sometimes like with today’s craft, it just comes out of nowhere. We were playing restaurant together when she stopped & very confidently said, “Mama, I want to make a windmill with the spinny thing.” Ok, that sounded like fun. 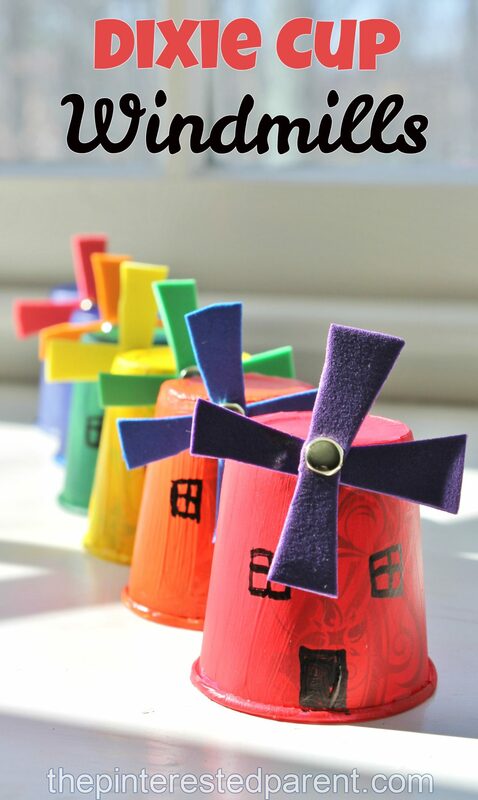 She said that she wanted to make a lot of them like a windmill village & that she wanted them in rainbow colors. 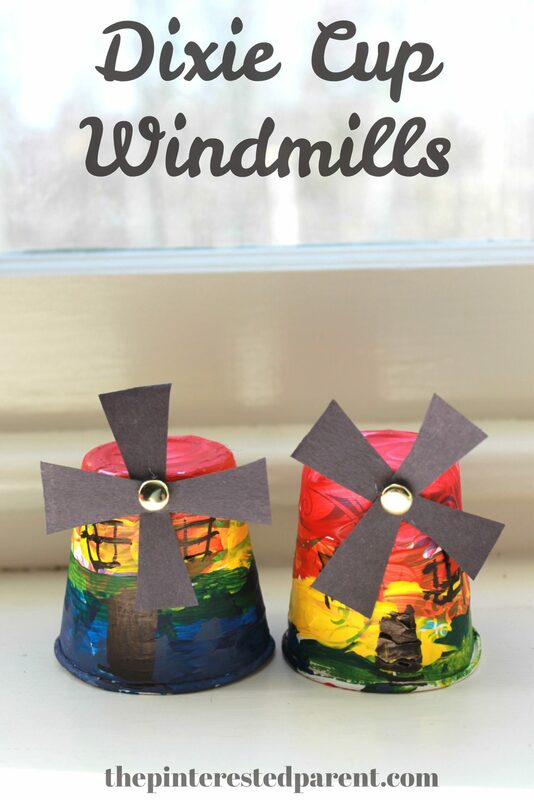 We decided to use Dixie cups to make our windmills. I grabbed 6 Dixie cups to make one for each color of the rainbow. I filled a tray with red, orange, yellow, green, blue & purple acrylic paint with 6 separate brushed for each color & thought we could paint them together. 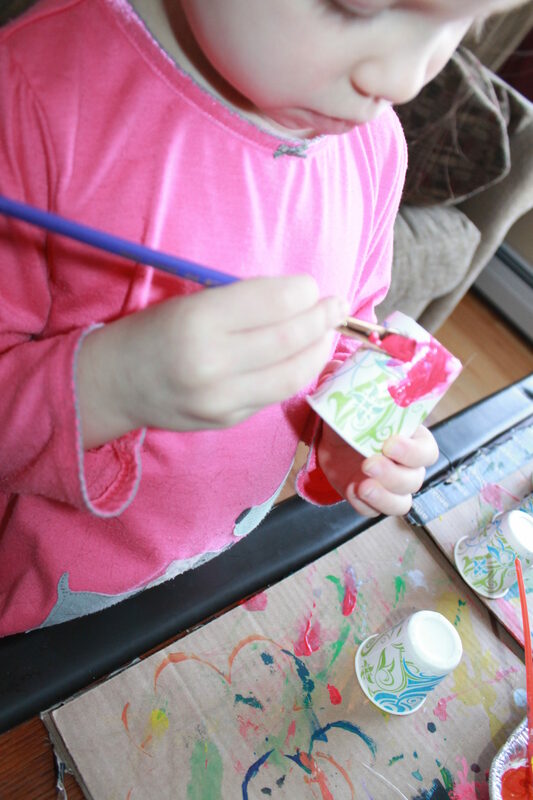 She grabbed the red paint brush & began painting & I grabbed the orange. 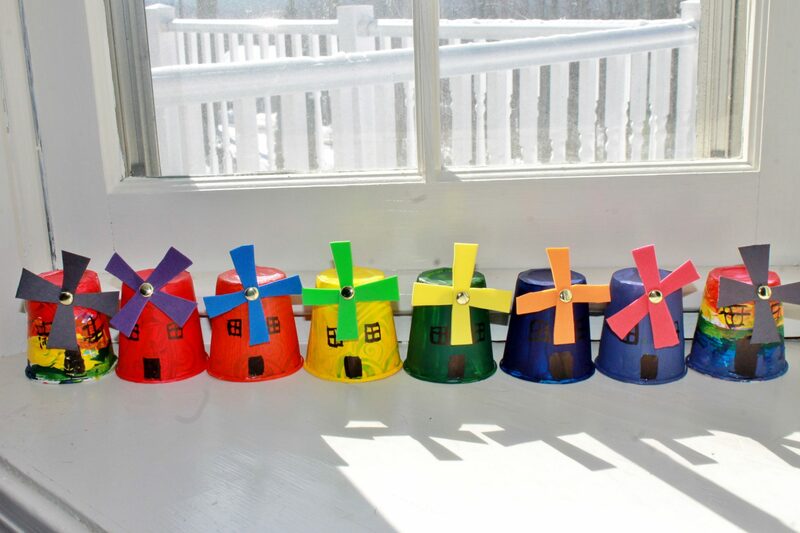 Little did I realize when she said rainbow colors that she meant that she was going to layer the colors to make each windmill rainbow. “Silly mama” she laughed. 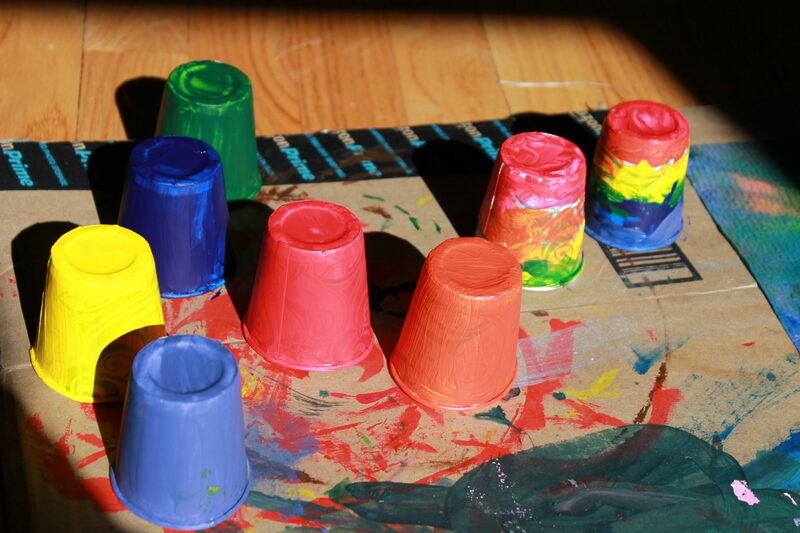 Regardless of my error, I continued to paint each cup in a different color, while she did hers in her rainbow layers. We set them aside & let them dry. She used a Sharpie to draw in the windows & door on one of her cups. 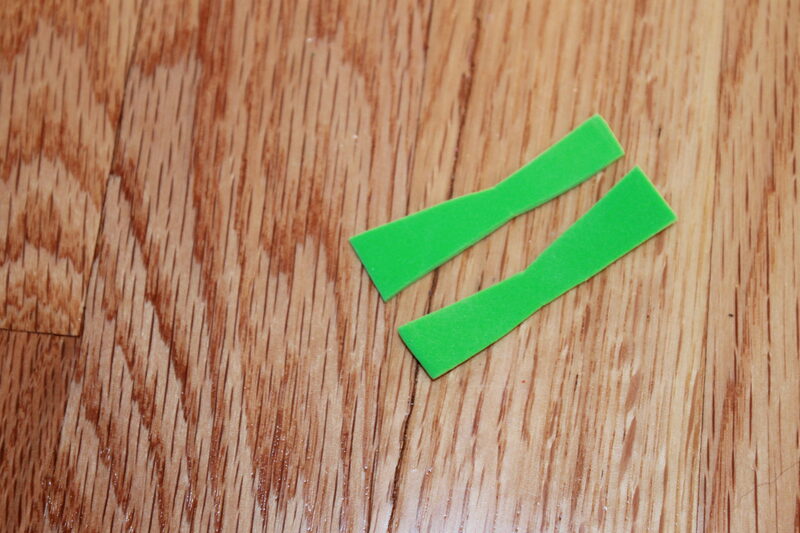 I cut blades out of construction paper straps & used a dab of glue to glue them in place like a cross. I poked a split pin through the paper & the cup to secure the blades in place. I secured the pin loosely, so that the blades could spin. We finished our lighthouses & then like Mai asked, we lined them up in a row just like a little windmill village.